In stock. When yardage runs out we cannot get more. 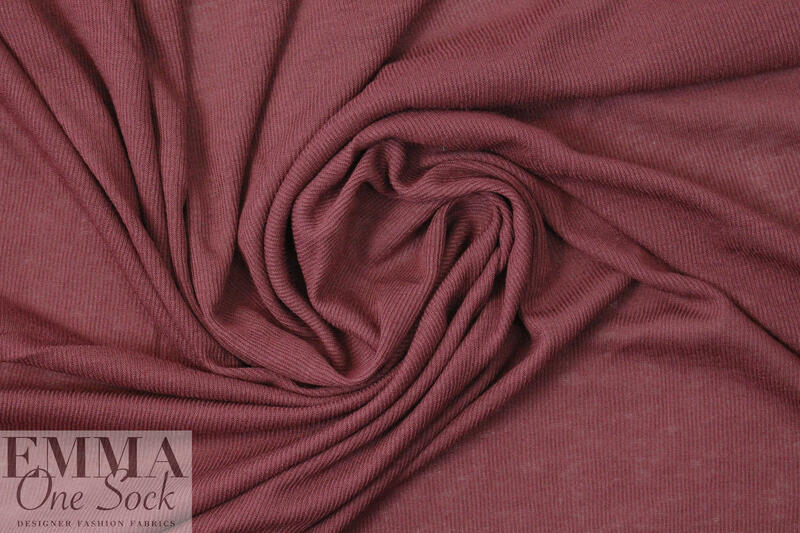 From Rag & B0ne, this is a beautiful featherweight 1x1 rib knit in a pretty burgundy (PANTONE 19-1617 but lighter). 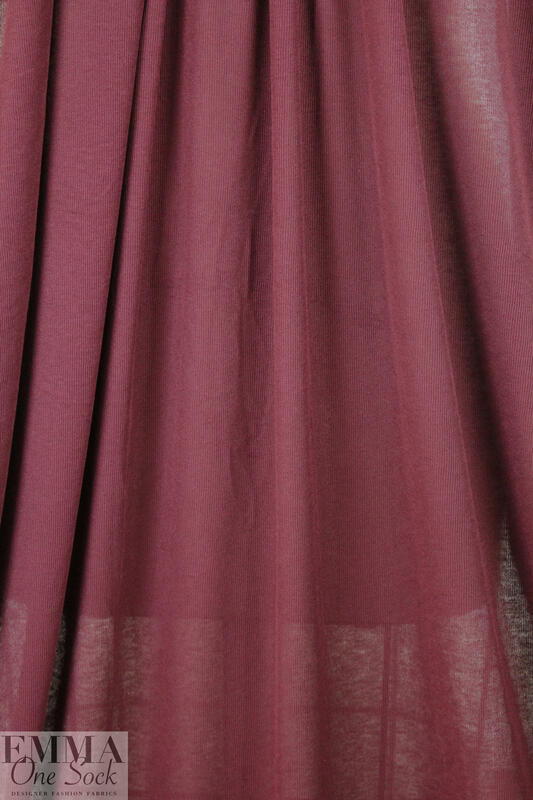 It is very light weight and semi-opaque, with a flowing and liquid drape. 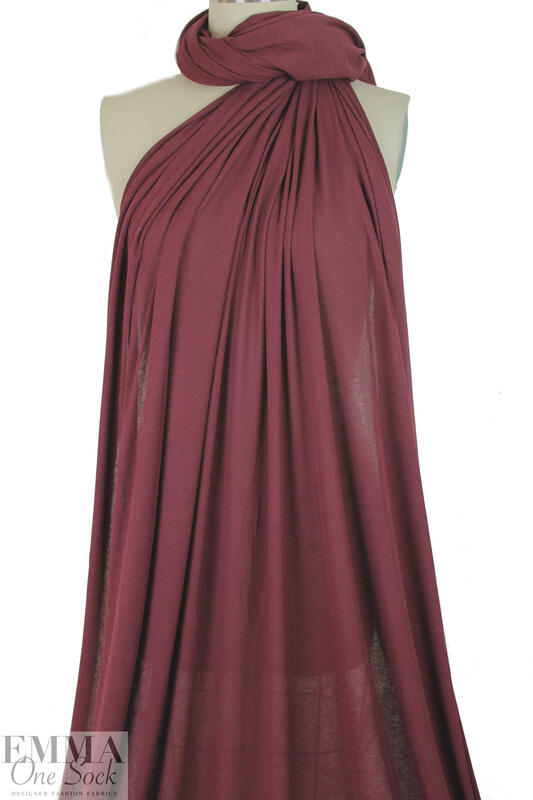 With 80% stretch in the width, 20% in the length, it's perfect for easy and casual tops, tunics, cardigans, etc. Test first if you wish to machine wash gentle, hang or lay flat to dry.